China is ‘extremely concerned’ over the crisis in Syria. The Chinese envoy has called for an end to the bloodshed, and the Assad-backed political referendum in the country which has been torn by protests and surging violence. 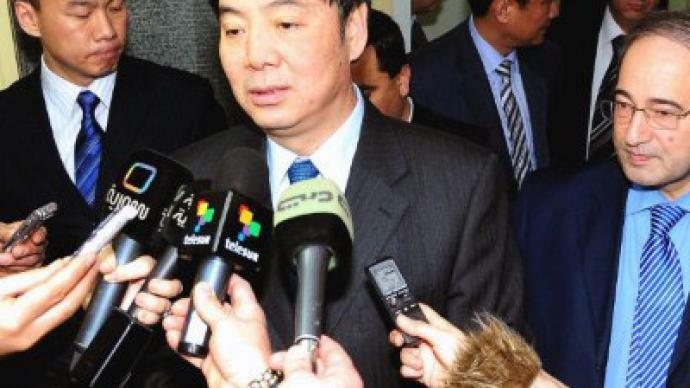 During his two-day visit to Syria Chinese Vice-Foreign Minister Zhai Jun has called on both sides in the Syrian conflict to stop the violence and approach political reforms. "The position of China is to call on the government, the opposition and the rebels to halt acts of violence immediately," he said following talks with the Syrian President Bashar al-Assad. 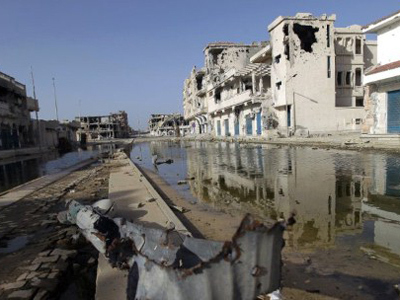 Zhai Jun added that peace would serve the best interests of the Syrian civilian population. "We hope that the referendum on a new constitution, as well as the forthcoming parliamentary elections pass off calmly," the official was quoted by the Syrian state television as saying. Zhai told Assad that China was willing to work with the Syrian government and opposition, Arab League, and Arab countries to reach a solution. "China supports all the Arab League's mediation efforts to find a political solution to the Syrian crisis, and calls upon the relevant parties to increase communication and negotiations to find a peaceful and appropriate solution to the Syria within the framework of the Arab League, and on the basis of the Arab League's relevant political solution proposals," Zhai was quoted as saying. Later in the day, the stance was reiterated on the Chinese Foreign Ministry's website. Following talks on Friday with his Syrian counterpart, Faisal Meqdad, Zhai Jun said that China urges the international community to respect the country’s sovereignty. "We exchanged views on ways to strengthen our cooperation in the face of this difficult period in Syria," the envoy said. "The sovereignty, unity, independence and territorial integrity of Syria must be respected by all sides and by the international community." After a meeting with Zhai Jun, President Assad reiterated that the ongoing turmoil in the country is actually a plot to split Syria up. "What Syria is facing is fundamentally an effort to divide it and affect its geopolitical place and historic role in the region," Assad said, as cited by Syrian state television. The Syrian opposition has rejected President Assad’s call for a referendum on a new draft constitution at the end of the month. The document is said to include a charter aimed at ending single-party rule in the country. "It is impossible for us to take part in this referendum before an end to the violence and killings,” AFP news agency quoted the opposition National Coordination Committee for Democratic Change. 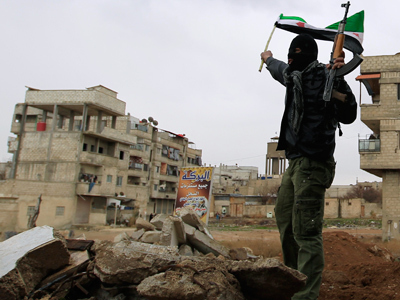 Crisis-locked Syria now finds itself caught between two different diplomatic efforts. One, encouraged by the US and a number of Western powers, comes as condemnation of the country’s regime and call for speedy transition of power. Another, sponsored by Russia and China, calls for political dialogue of the conflicting sides. 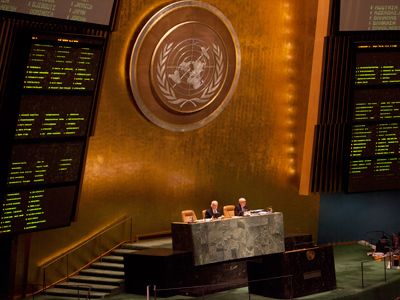 The UN General Assembly resolution, adopted on Thursday, urges Syria’s President Assad to step down. The document was voted against by Russia and China and has no executive power. The two countries maintain the conflict in the country should be resolved politically and oppose any military intervention into what they call Syrian internal affairs. China’s efforts to mediate in the Syrian conflict are driven with the country’s willingness to show it as a global player, political scientist Joseph Cheng told RT. Despite the condemnation of the violence in Syria coming from the international community, the protest movement and the violence show no signs of ending. Following Friday prayers thousands reportedly took to the streets of Damascus to demand Bashar al-Assad resigns. 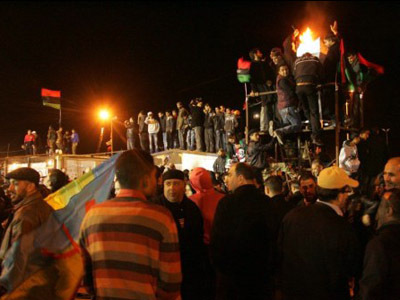 Opposition forces say that at least three protesters have been killed in clashes with government forces, Reuters said. The information cannot be verified independently. Protests are also said to have hit a number of other Syrian cities on Friday. According to opposition activists, the Syrian army is continuing heavy shelling of the city of Homs. As the situation remains unresolved in Syria, experts fear the fall of the Syrian regime will make another important player in the region, Iran, feel isolated and forced to act. After the removal of Assad, Iran might turn unpredictable and even dangerous, Islamic affairs analyst David Hartwell told RT. “Perhaps, accelerating the nuclear program, accelerating its interference, or perceived interference in other countries in the region – perhaps Bahrain, Lebanon, or the Palestinian territories,” Hartwell said.